Small-sized solid-state amplifier available in kit or assembled form, 45 WPC. 1/ I used to buy into the notion that the more you spend on audio equipment the better it is. This came to an abrupt end when a fellow audio enthusiast blew away my so called higher end system with his DIY system that cost hundreds to my thousands spent. 2/ My wife has a huge distaste for large audio components. I'm sure if you are into audio and married, you too have run into this problem. For the above reasons my audio dollars are now used in a wiser fashion. One of the pieces that fits into my new requirements is the Winsome Labs Mouse. Please do not let this meek name mislead you, as you may overlook one of the best budget amps available today. If I was not previously informed about this amp, I too would have probably not given the little mouse a second look. In the past, I have owned or listened to many tripath amps including: Kingrex, Modded trends10.1, Charlize, Amp 6 Etc. Some of these were impressive with the right speakers, but lacked the authority to drive speakers in the 80 's db range. The mouse is attractive in the fact it can drive all my speakers higher or lower efficiency with great control and ease. Looking at the Mouse , it is a very simple extremely small gererically boxed amplifier. Inside is a very clean shot path circuit layout with through hole and smt components. Overall it has simple esthetics with quality components and workmanship. Aside from the Mouse's esthetics, it's strong suit is the sound it produces. After a break in period this amp is extremely musical. It does all the audiophile terms such as: Transperency, Punch, Musicality, Soundstage etc etc in a tremendously convincing manner. Vocals come alive with this amp and are very realistic. Mids are very detailed and bass performance was satisfying with great punch and control. Overall it produces a completely satisfying sound. I also tried the mouse with various preamps, but ultimately was just as happy with the mouse on its own using the alps volume pot it came with. Before purchasing the mouse, I had been auditioning a friends Amp 1 from audio zone. It too was a very compelling amplifier, but at $1700 Us the $319 Mouse is a complete no brainer for me. If you are into audio as a status symbol, then the Mouse is not for you, because at its price point it is not exclusive to most. For audio on a budget the mouse is now my new budget reference. Everything. This amplifier sings with it's hearth. Quiet musical, agreable, you want to listen cds after cds. You don't feel the need to listen to high volume even you could, because you hear eveything. Apperance is functional but could be more zesty! 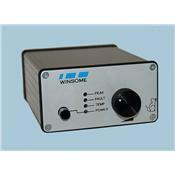 I bought this little and very light amplifier directly from Jay from Winsome Labs. Directly out of the box, the weight is extraordinarely low. Is there some helium in there? Manufacturing is honest, styling is...functional. At first, the sound was okay but a little bit thin and edgy but with good definition. Each day the sound is becoming more refined and musical. After about two weeks, this amplifier is a jewel and excels in many areas. Transparency, delicacy, punch, precision, musicality, EXCELLENT SOUNDSTAGE. I Have a Cambridge 640C CD player and is has never played so well by a great margin. Take the time to let it breath, it will open up. The voices are wonderful, highs are magnifique. Bass are very clean. Bravo Jay, beau travail. Good work. Impeccable, top rating, Jay is a gentleman who answers to all your concerns (about his mouse) not about your car's problems. Cambridge 640 A amplifier, very good but not the same league than Winsome Labs. Acurus DIA-100 very good but outclassed by the two previously mentioned. very good power for 45wpc into 4 ohms! Small footprint - This amp lives on the top right side of my Rega Apollo. I was drawn to the t-amp arena from a somewhat round about way in the process of doing research for a good tube integrated. The t-amp was often reviewed to have a "tube like sound" and I was intrigued by the prospect of having my "cake and eating it too". I have owned good SS gear for years, and was accustomed to the reliability and durability of good SS equipment, although was tiring of the SS sound especially with the addition of planar speakers that are that much more revealing. I knew that my Peareaux amp was a very good SS choice with the use of mosfets and the mostly class A sound that it produced at lower listening levels, but, of course, we audiophiles are frequently on the prowl for that little bit "more" of whatever it is we are looking for. I have always been hesitant to replace an amplifier, because of the belief that the sonic benefits would be at most slight unless a large jump was made in quality (ie. money), and I am a practical person with other monetary requirements that take precedence etc. I read the 6-moons review, and came to the conclusion that this amp could drive my maggies and would give me a good idea what this t-amp sound was like and not be out a lot of money if it didn't work out. After a good 100+ hour burn in I couldn't be more impressed! It has been said that t-amps, like tube amps, "flesh out" the sound and make it more "real". It is as if SS emphasizes the leading edge of the note and the t-amp produces more of the note in a holographic or 3-d kind of way. Piano and vocals are particularly realistic and satisfying. The base seems quite good but I can't really evaluate that until I get my sub hooked up (my maggies are the MMG's that roll off at 50hz). That is the rub with the t-amp. No pre out! I have to use a audimagus speaker level to line level converter to connect the sub. (note - t-amps have a "floating ground" so you have to be careful about how you hook up a sub). Audiomagus has been very slow in sending out the product, and they are the only company I have found that has a decent speaker to line level converter for the t-amp. In fact it has been almost 1 month and still no converter. I am starting to wonder if I will ever get it! You can't just hook the speaker level to speaker level on most sub amps unless you know that the ground is floating on the sub amp. Anyway! this is a great amp! I makes great music! I can get a ton of sound from my maggies and they are 86db! I have yet to crank it past 12 o'clock. I doesn't use much power either. I don't miss having a remote because the sound level is "right" more of the time because it is not harsh like SS tends to be. This amp is a no brainer purchase for anyone who loves audio and is interested in seeing what this t-amp thing is all about. The lesser powered t-amps are probably very good as well, but would hesitate to buy one unless your speakers are very efficient (ie 90db and above). musicality: none detected so far. for my taste just superb listening quality. build: power button initially would block, leaving the mouse on "POWER ON". E-Mail-support by Jay from Winsome Labs promptly fixed this minor problem. After having NAD equipment for quite a while, my beloved and slightly aged NAD 314 started to crackle and the left channel now and then stopped working, especially when listening to lower volumes. I know the problems NAD amps sometimes face due to cold spots, so I was prepared to give it a try and let an authorized NAD dealer repair it. He told me, I was in for 80 swiss francs for the cost estimate, although the sum would be deducted if I decided to have it repaired. The actual repair cost most probably would arise to 200 francs and up, he said. Hell, I told him, I'd think about. Since budget is at hand at the moment, I then thought of buying a new amp and looked around for affordable tubes and newer higher end equipment. After reading the Class-T amp reviews on 6moons I almost opted for the Kingrex, but was a bit afraid, it might not drive my Nubert NuBox 381 with 87 db properly. The thought of a quite neutral little amp doing nothing but amplifying was in my favor though. After almost giving up the Class-T thought I again stumbled over the 6moons-review, this time for the Winsome Labs Mouse. Power and Punch seemed to be sufficient, the review was great, so I ordered it and counted the days. It arrived and I immediately hooked it up to my NAD CDP and - it was great. Not superb, but still great. But because of the reviews, I already knew, that it needed some breaking in, so I let it run some hours. I couldn't yet punch it to its limit, peak seldomly flickered. And Bass always was punchy and controlled. A marvel! Thumbs up to the mouse for all its performance!!! None like it. NAD 314 comes closest but is no match. The usual Yamaha, Sony, 80ies Technics (though they were quite fine in sound) don't compare.